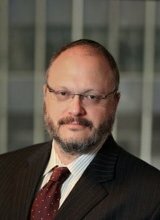 Attorney Charles Joseph is a founding partner at Joseph & Kirschenbaum LLP. He is admitted in both New York and federal courts and is one of our firm’s class action litigators, pursuing wage and hour and other types of employee rights claims on behalf of large groups of similarly situated individuals. Prior to forming Joseph & Kirschenbaum LLP, Charles Joseph was a litigation attorney with Debevoise & Plimpton, where he practiced for more than six years, largely on behalf of corporate clients. In 1997, he went on to found Joseph & Kirschenbaum LLP because he wanted to help workers who had been wronged by unfair employment and wage practices. Since then, he has helped Joseph & Kirschenbaum LLP grow to be the respected law firm that it is today, winning numerous major legal victories for workers in all occupations and industries. This includes recovering nearly $100 million for workers throughout the country. Charles is a graduate of New York University School of Law from which he received his Juris Doctor in 1990. He is currently pursuing a Master’s degree in history from the University of Edinburgh School of History, Classics and Archaeology with a focus on the history of the Middle Ages in northwestern Europe. Charles is fluent in Hebrew and Yiddish. Charles is active in several professional associations focusing on employment law, including the National Employment Law Project, the National Employment Lawyers Association and the New York State Trial Lawyers Association. He is also a supporter of the World Wildlife Fund and Make the Road NY, an organization supporting working class Latinos in New York by providing organization, advocacy, education and services. In addition to all of this, Charles is actively invested in improving his vibrant and diverse community, and was honored for his pro bono work by the Lawyer’s Committee for Human Rights for his work obtaining political asylum for China’s leading literary dissident, refugees from Pakistan, Sudan and Ukraine as well as life-saving work getting the wife and children of a Haitian rural organizer out of hiding in Haiti and legally into the United States. Charles worked on behalf of The Center for Constitutional Rights to bring a mass-murdering eastern European political leader to justice under The Torture Victim Protection Act. He has also been active handling housing cases pro bono for indigent tenants, family law and child support cases on behalf of indigent women and criminal appeals for indigent defendants. Workers who suffered wage theft, discrimination or other on-the-job injustices need an advocate who knows the law and has their best interests in mind. Attorney Charles Joseph has dedicated more than 21 years of his career to fighting for workers in New York and throughout the United States who have been abused or taken advantage of by their employers. If you believe you have been denied wages or subjected to discrimination or harassment, contact our firm today to arrange a consultation. We are available by phone at (212) 688-5640. We can also be reached online. Se habla español.